The President of Uzbekistan Shavkat Mirziyoyev had a telephone conversation with the First President of Kazakhstan Nursultan Nazarbayev, who announced his resignation as President of the country today, on March 19, UzA reported. Leaders of the two countries warmly greeted each other and emphasized the special, friendly nature of Uzbekistan – Kazakhstan relations that are successfully and fruitfully developing in all areas. President Shavkat Mirziyoyev noted with deep gratitude the contribution of the First President of brotherly Kazakhstan to the creation of a solid foundation of friendship between people of the two countries. Heads of the two countries expressed firm confidence in successful development and further strengthening friendship, good-neighborliness, mutual respect and trust between the two countries and people. 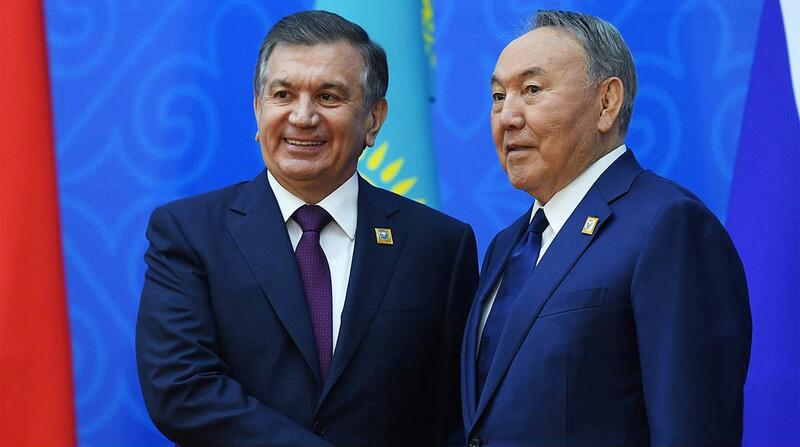 Leader of Uzbekistan sincerely wished Nursultan Nazarbayev good health, vigor and inexhaustible energy in his future service to Kazakhstan people and expressed confidence in continuing friendship.